Mahishasura Mardini is an incarnation of Goddess Durga. The Goddess took this form to kill the asura Mahisha. The exhibit showcases the very scene of Durga killing Mahisha. 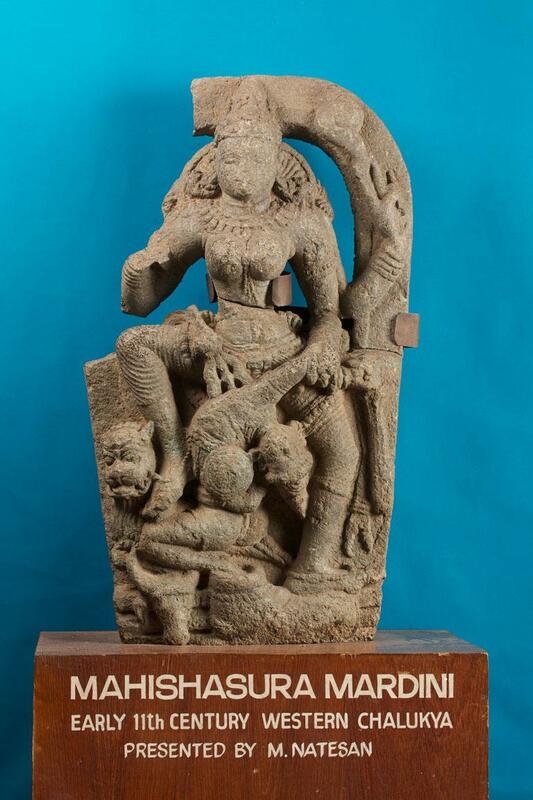 In this sculpture Durga is portrayed as sitting on a simha (lion) and killing Mahisha.